Research in Motion (s rimm) still has a few months before it launches PlayBook, its entry in the hot tablet market, and the company showed it’s prepared to compete by announcing Thursday it has bought Swedish design firm, The Astonishing Tribe. TAT is a well-known UI team respected for its take on mobile screens. TAT said its concepts and software are in almost half a billion devices and cars ,and in 15 percent of all mobile phones. 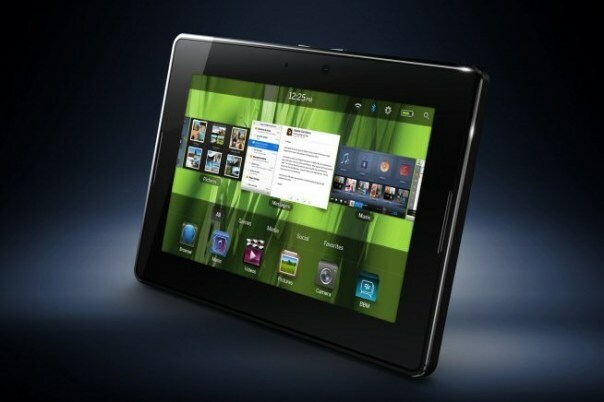 RIM said it will be using TAT’s design expertise on the PlayBook and smartphone platforms. Both companies blogged about the purchase, with TAT saying it will honor its current agreements and will service existing customers. This is good news, not just for the PlayBook, but for BlackBerry smartphones too, which despite a makeover with BlackBerry 6.0, still seem a generation behind the latest iPhone (s aapl) and Android (s goog) software. Where RIM can really make the acquisition pay off is with the PlayBook. The tablet already looks pretty impressive in videos, and TAT could really help it shine. The iPad is still the main player in tablets, though with the Galaxy Tab selling 600,000 units, we’re seeing a rising competitive challenge from Android. Google has said Froyo (Android 2.2) isn’t made for tablets and Gingerbread, the 2.3 update coming any day now, isn’t expected to be a tablet-optimized OS either. Android 3.0, or Honeycomb, is widely anticipated to be Google’s tablet platform, but won’t show up until next year. If RIM can build a very polished tablet UI and weave in some clean ideas via TAT, it could hold a strong competitive position against the slew of Android tablets on the way, and could even try to teach the iPad a thing or two. As some have noted, the Galaxy Tab often feels like a big phone experience. User interface improvements on the PlayBook could eventually work their way down to RIM’s smartphones, which should eventually adopt the PlayBook’s QNX-based operating system. Buying TAT is one step, but putting TAT’s know-how to work is another major undertaking, which could take some time. But RIM, through its purchase of QNX and now TAT, is showing it understands where it needs to go with mobile devices: The company needs to modernize the experience it gives its users. RIM still has to execute its plans, but it’s at least showing it won’t go down without a fight. If it gets the most out of TAT, who knows? TAT could put the cool factor back in BlackBerry devices again. How could you claim BlackBerry 6.0 UI is behind? This sounds like a HTML site is behind Flash because its using less transitions/effects. I use an iPad, iPhone, Android OS,Blackberry and frankly the BlackBerry UI serves my needs the best. I would need an hour more every day if I would try to accomplish what I do on a blackberry on an iphone. Wow – They’re just getting at this now? And when do they plan on introducing the PlayBook? Good luck, RIM. You have your work cut out for you. At least, 3.5 years later, you realize that *the way phones are created, sold and marketed* needs to change, and seem to be making the change. At least you didn’t “go Android” and lose all your competitive advantage with BB. Yeah, RIM is definitely behind. But there’s still some hope if they can fully embrace QNX and TAT. 7 out of 10 people still haven’t bought a smartphone so there’s still some time to turn things around. And i agree, i think QNX is a better way to go than Android.